The aggregate supply & aggregate demand model (AS-AD Model) is a popular economic model, and is currently taught as a beginner's economic model with the capabilities to model macroeconomic policy and to account for business cycles of recession and expansion. However, not everyone is familiar with this common economic model. Economists use aggregate demand and aggregate to supply to predict quantity of goods and services preformed, and also to predict average price level. This lets economists make predictions about GDP and unemployment data. The remainder of the article is dedicated to explaining how the aggregate supply and aggregate demand model of macroeconomics functions. The aggregate demand curve is a downward-sloping curve that shows the relationship between the general price level P, graphed on the Y axis, and the quantity of domestically produced goods and services all households, business firms, governments, and foreigners (net exports) are willing to purchase, graphed on the X axis and known as Y. A simple demand curve (a demand curve for one good), curves downward, because consumers are more interested in buying larger quantities of the product when the price is lower. However, the aggregate demand curve slopes downward for a different reason. The aggregate demand curve slopes downward because a lower price level increases the purchasing power of money, because a lower price level reduces the demand for money and lowers the real interest rate, stimulating additional purchases, and because a lower price level makes domestically produced goods less expensive than foreign goods. These three effects (the purchasing power effect, the interest rate effect, and the international substitution effect), are the reason that the aggregate demand curve slopes downward. The aggregate supply curve is a curve showing the relationship between a nation's price level and the quantity of goods supplied by its producers. The Short Run Aggregate Supply (SRAS) curve is an upward-sloping curve, and represents how firms will respond to what they perceive as changing demand conditions. The Long-Run Aggregate Supply (LRAS) curve is a vertical line that marks the maximum realistic and sustainable growth rate of the economy, and which shows the relationship between the price level and the quantity of output after decision makers have all the time necessary to adjust prior commitments, like long-term labor contracts or other long-term agreements. When graphed together, the aggregate demand curve, the SRAS curve, and the LRAS curve make up the totality of the AS-DS model, which is used to model macroeconomic trends. Each curve can move independently, based on different changes perceived to be occurring in an economy, and the model adjusts according to predictable rules. Based on the adjustment of these curves, economists can be predict Y and P (GDP output and general price level, respectively). GDP is a very important marker for a nation's economic performance. The general price level speaks to a nation's rate of inflation or deflation, a very important rate for economists to monitor for a variety of reasons. The AS-DS model's outcomes, however, depend upon the shape of the curves involved; major discrepancies still exist between neo-classicists and Keynesians, for example, about the shape of the LRAS curve and therefore the nature of business cycles generally. Economists using the AS-DS model begin by predicting changes in one curve, and then watching as the rest of the curves change accordingly. The aggregate demand curve shifts in response to changes in real wealth (richer citizens demand more goods and services), changes in real interest rates (low interest rates will stimulate investment and spending), change in the expectations of business and households about the future of the economy, change in the expected rate of inflation (when inflation is predicted to rise in the future, there is an incentive to spend more now), and/or changes in income abroad or exchange rates (increases in net exports to foreigners will increase aggregate demand). Short-run aggregate supply changes when resource prices change (more expensive resources push the curve outward, because it is more expensive to increase production), when changes occur in the expected rate of inflation (sellers who perceive inflation to be on the rise will be less motivated to sell at lower prices during the current period), and because of supply shocks (unexpected events that temporarily increase or decrease aggregate supply). Any of these changes can begin the model's function, and the model will output changed curves as well as expected values for Y and P.
The AS-AD model seeks equilibrium. For example, let us consider a situation where aggregate demand increases, perhaps because of a general increase in wealth in the population. The AD curve would shift out to AD2, up and to the right of the original curve. The price level would rise from Y1 to Y2, the location where the SRAS curves and the AD curves intersect. This means that in the short run, the economic duration when some prices are fixed, firms will produce more in response to a wealth increase, temporarily increasing Y (or GDP) to a higher value. Unemployment, U, will fall, to a labor rate above that of full participation. Price level will also temporarily rise. These are the short run effects. In the long-run, the resource prices (including labor prices) can be re-negotiated, and firms will bid up these prices in an effort to get resources to respond to the perceived increase in demand. As resource prices rise, the SRAS curve shifts back and to the left, reflecting the increased costs to suppliers. Eventually Y has returned to the original Y1, on the LRAS curve (representing the maximum sustainable GDP). Price level will have risen to an equilibrium level above both P1 and P2 to P3. 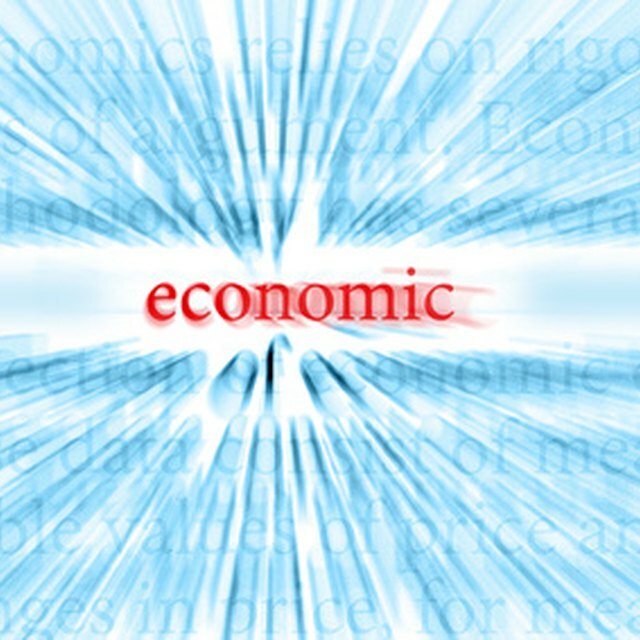 The system is now in long-run equilibrium, and economists can use the model to predict that if there were a real wealth increase, it would be associated with a temporary increase in GDP and temporary increase in price level followed by a return to old GDP levels and a permanent increase in price level.